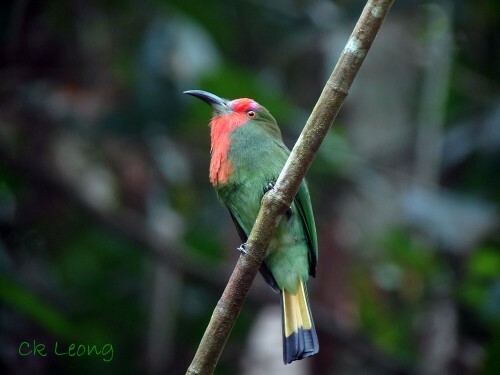 Here’s one of everybody’s favourite, the Red-bearded Bee-eater Nyctyornis amictus. 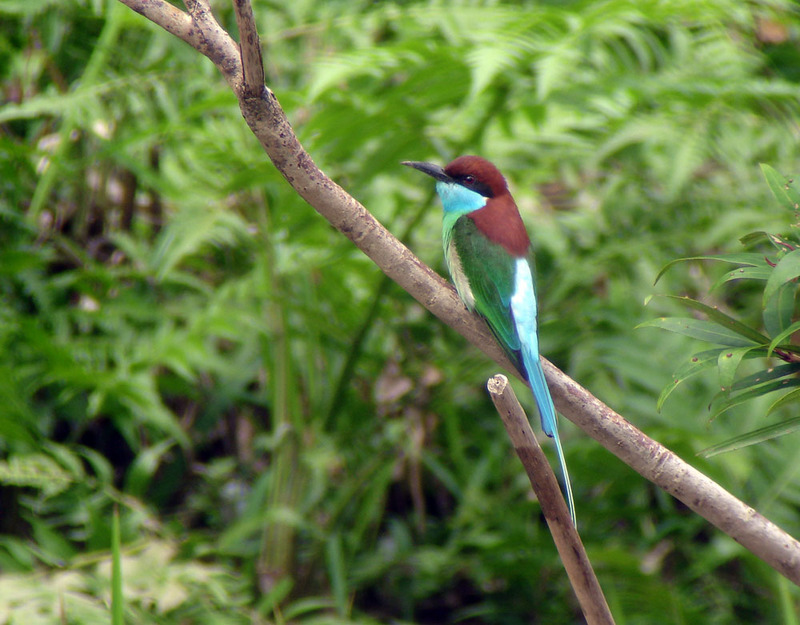 This large bee-eater is found in lowland and secondary forests, hawking for insects from its perch. But unlike the other common bee-eater, the Blue-throated, it almost never make flights above the forest canopy. When looking for this bird, I found it easier just to listen for its deep kwok calls. 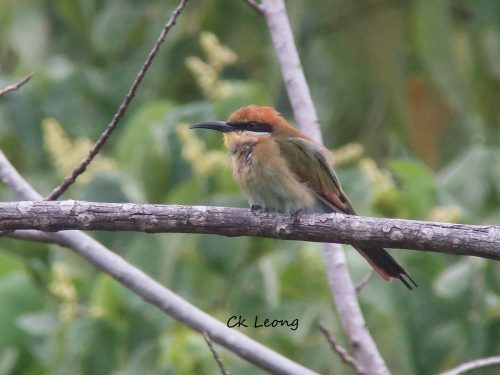 This very striking bee-eater Merops viridis is common to the rivers and open lowland country of Borneo. It performs aerobatic flights at insects from its perch, each flight ever more graceful. On the Kinabatangan River, this year’s breeding must have been particularly difficult. Lots of later than usual rainfall have damaged many of the sandy banks where the bird favours for its breeding ground. It is still a common bird, favouring the birdwatcher in many locations.